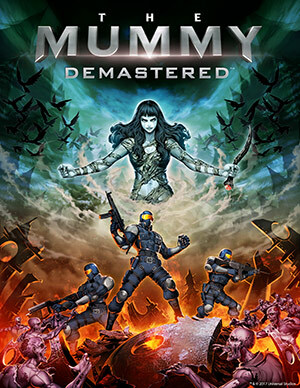 Based loosely on the summer blockbuster, The Mummy Demastered is a 16-bit inspired metroidvania which has you exploring forests, labs and catacombs in order to thwart the resurrection of an ancient Egyptian evil. 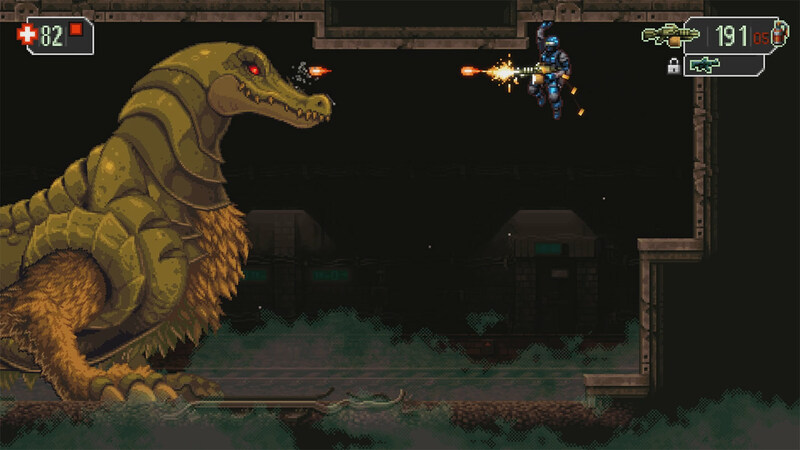 Harking back to the golden era of side-scrolling open world exploration platformers such as Super Metroid and the early Castlevania titles, The Mummy Demastered indulges in all manner of retro gameplay aspects to successfully hit a number of nostalgic notes. Hands up if you’ve played Super Metroid. If you have, you’ll be able to hit the ground running here, with everything from boss fights and upgrade statues to minimap and save stations being at the very least inspired by the classic. For those who haven’t — and shame on you! 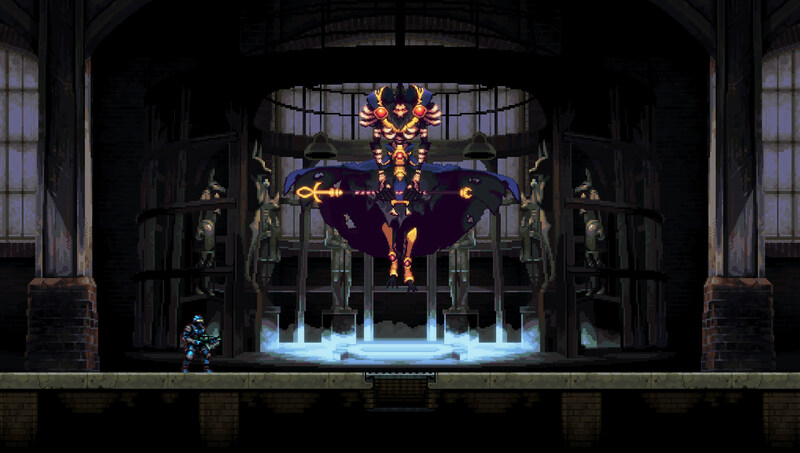 — The Mummy Demastered serves as a solid introduction to the gameplay quirks and gradual exploration that the metroidvania subgenre offers. The Mummy Demastered opens with a simple premise: Ahmanet, a princess of ancient Egypt, has been reawoken and aims to take over the world in classic “being dead made me angry” style. As a generic soldier of evil-hunting organisation Prodigium, it’s your job to explore areas, retrieve equipment upgrades and ultimately put a stop to her diabolical plan. Game flow is rather straightforward: You’ll typically be given a goal area to reach, each of which usually just beyond your reach until you collect a new weapon, item or upgrade hidden in the areas nearby. These can range from grenades for destroying barriers and welded doors, to the ability to jump higher or further in order to reach previously inaccessible platforms. Of course, there are plenty of hazards aiming to stop you from making progress. Virtually every map area is full of rats, zombies, wolves and all sorts of unusual, often undead nasties that are out to get you. You’ll start with just a basic assault rifle but soon discover grenades and a stronger rifle, with the caveat of having a very limited ammo pool which can be upgraded over time by collecting upgrades. 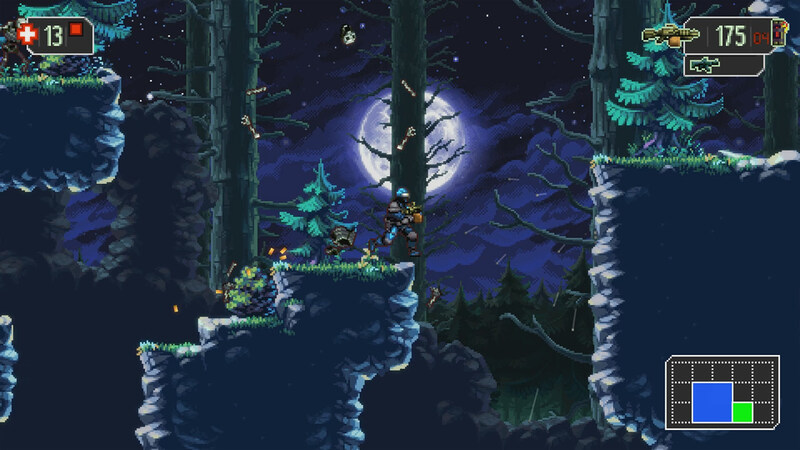 Upgrades are a major factor to exploration, as they are in any metroidvania title — you’ll slowly but steadily add to your array of traversal abilities, grenade types and alternative weapons to choose from, including C4 and flamethrowers. A key difference in how The Mummy Demastered approaches collectibles however is that you’re limited to only having one alternate weapon, and one type of explosive, equipped and available. If you’re exploring a new area and discover that perhaps incendiary grenades would be most helpful, then you’re stuck pressing forward or backtracking until you get to a weapon station to change loadout. This also ties in to death. In a similar vein to the likes of Hollow Knight, once you’re downed, you’ll be a “different soldier” spawning in at the last save station, and as a new guy you’ll be missing all of the power-ups and gear previously collected. An angry, possessed version of your prior soldier will be hanging out near where you had died, and you’ll have to take them out to collect their equipment and get back to full power. Not too difficult, though navigating to and defeating the stronger version of you can be unnecessarily troublesome as you get farther into the game and reach progressively more difficult areas, as you’ll still need to survive the trip in your unpowered state. Boss battles punctuate the journey, popping up every 30-40 minutes on average as you complete an area. Again, they’re very much designed around how boss fights worked in the classics: They’re simple, and mostly revolve around learning their patterns and reacting accordingly. While not difficult or complex, the boss fights are likely to be your main source of deaths, especially while still learning the controls. Speaking of which: The controls aren’t too friendly. We played the PC version of The Mummy Demastered, and given that the title also has console versions one would expect controller support to be perfect, yet the game failed to fully recognise our DualShock 4 even in Steam’s big picture mode. We had to map front buttons manually but the biggest problem was that while ultimately we could still do almost everything on controller from running and gunning, to using most ability functions, a couple of things still required keyboard input. Grenade throwing didn’t seem to cooperate with gamepad controls, meaning a very clunky case of having to lean over and hit the keyboard anytime a grenade was necessary. If you’ve watched parts of our video earlier, you’ll notice that much of the time we’re trying to see which button corresponds with things like grenades before realising there wasn’t one. 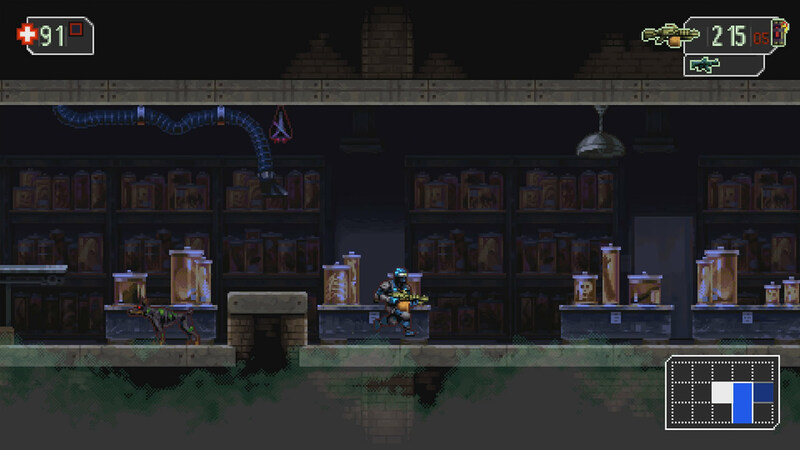 Exploration in The Mummy Demastered is straightforward, with a few nice quality of life touches such as helicopters that operate as fast travel points between landing areas you’ve discovered. Maps are fairly straightforward, and while you won’t typically get lost on your way, there aren’t really any awesome hidden things to discover either — a shame, given the genre’s propensity for tucking away fun secrets for avid explorers to find by using abilities to the maximum. There are fifty artifacts to find and collect throughout the game, but these are trivial to find (often in a crate in a corner, rather than behind false walls or out of reach places) and don’t really give much sense of achievement. Overall, The Mummy Demastered is a reasonably solid game. The areas aren’t hugely memorable, enemies are generic, and level design ranges from predictable to “why the hell did they add respawning enemies to a corridor you need to run down without being hit?”, but controls are mostly decent and boss battles are pretty fun. Once you’ve pushed through the first few hours, the game gets much more interesting; getting through the initial slog with limited weapons and upgrades is the toughest part.